Video: Introduction to Platform Agnostic Hybrid App Development In this on-demand Oracle Code Online session replay Oracle ACE John Sim, a consultant at Fishbowl Solutions, demonstrates how to use Oracle JET to build platform agnostic, re-usable HTML5 applications that can be run as a Desktop / Mobile App or within a browser. Watch the video. Video: Oracle Mobile Cloud Service Integration Options Oracle Mobile Cloud Service (OMCS) might not be the first product you think of when thinking about integration, according to Oracle ACE Associate Maarten Smeets, but it does have many useful options for integration. Maarten explains some of those options in this 2 Minute Tech Tip. Watch the video. Oracle JET 3.2.0 Released JET v3.2.0 is a minor release and is primarily a bug fix release, however ojFilePicker has been introduced as a preview component and we have made some improvements to the ojet command-line interface (CLI). Get more information. 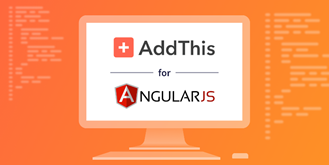 Announcing AddThis for AngularJS AddThis, the global leader in website marketing tools, has built a module for AngularJS! Grow your website with tools by trusted by over 15 million sites. Get more information. Oracle JDeveloper and Oracle ADF 12.2.1.3 Are Now Available This release focuses on stability and improving the product through extensive bug fixes. Get more information.